Oh, what a tangled web we weave… when we don’t know how to prune a weeping mulberry (Morus alba ‘Pendula’). You can see this popular weeping standard tree all over the city – and when not wearing its cloak of green, the tangled, haystack-headed results of improper pruning are only too evident. When I point out the good from the bad, I’ve had people say to me in disbelief: That’s the same kind of tree? Why, yes, by gum, it is – only with some attention to pruning. With spring on its inevitable way in, the next week might be one of your last chances to prune, as it’s best done during dormancy. Otherwise, cut branches have a tendency to bleed. Naturally, when pruning any trees or shrubs, the first rule is to cut out any dead and/or crossing branches. The same thing applies with the weeping mulberry. But there are also more specific techniques, and they’re easy, once you know how. The weeping Camperdown elm (Ulmus glabra ‘Camperdownii’) should be pruned in a similar fashion. The tree above isn’t perfect, by any means. At some time in its past, the caretaker allowed one of the vertical branches to remain, and if this keeps up the tree can become too tall and difficult to reach for pruning. You can see the runaway vertical branch rising from the centre of this tree form. So that’s the second rule for pruning the weeping mulberry: cut off any vertical or upward-growing branches. However, let’s talk about what they’ve done right here. Do you see the open form of the tree, compared to the first example, with its branches cascading in a waterfall pattern? Here’s a closer look. 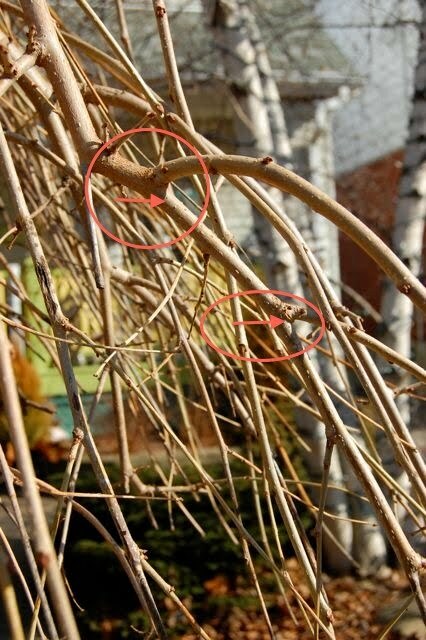 The lower branch shows what correct pruning can produce over many seasons. See how the branch seems to make a series of little bridges? Below is a shot of what typical branches would have looked like before the cuts. I’ll give you a nice big image to make the tangle clearer. Can you see the type of branch forms where you would make a cut to produce those little bridges? In this case, I’ve circled possible cuts on the same branch – you’d make one or the other. Cut close to the joint, without leaving a stump. Can these trees be saved? Perhaps – over time. The job is complicated by the volume of untrimmed branches from past seasons. When pruning, it’s rarely a good idea to cut out more than one-third of the branches at a time (some shrubs are exceptions, but I won’t go into them here). A weeping mulberry is in fact a prostrate or ground-hugging shrub that has been grafted onto an upward-growing trunk. If you cut back your weeping growth too far, you risking having the species in the standard or trunk take over. The best scenario is to start building the form of the tree while it’s young. And if you have a young or young-ish weeping mulberry, you have a chance. So… read this and weep. I adore weeping mulberries! They are so incredible.. but I'm always afraid to prune them too much. Thanks for the great post! What a difference between the two. I feel sorry for the one in need of a good trim, it really looks shaggy. I had no idea the standard could take over – what good information! Helen girl .. I can't tell you how many of these trees exist in Kingston .. there must have been a HUGE sale at one time ? Hi Helen – what a great post. Wish it could be sent out to everyone who has an "umbrella" growing in their garden. Great advice Helen. I've never seen a Mulberry tree, guess they are not hardy where I live. What a difference proper pruning makes! 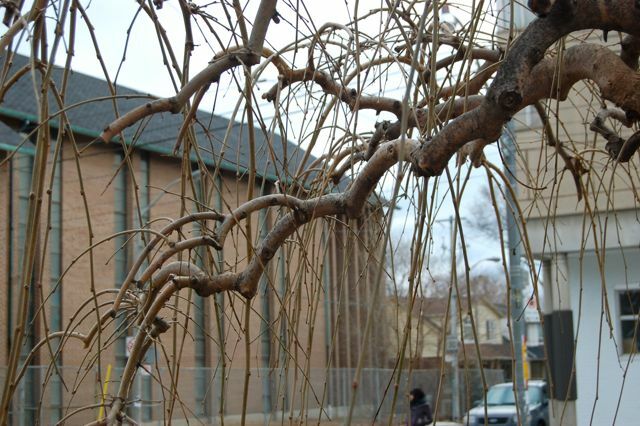 I think the weeping mulberry is a beautiful tree, as seen in the second photo. Excellent post! 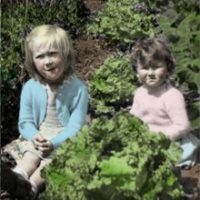 Great post, hopefully a lot of mulberry owners will read it and weep. (and then prune properly). Great tips for pruning! Just found your site and I'll be back to look for more great info. Thank you. I would never have guessed that both trees were the same. What dramatic structure the second tree has. I guess people just don't know what to do and so trim the branches as if to give the tree a haircut. You've provided great instructions on pruning here. 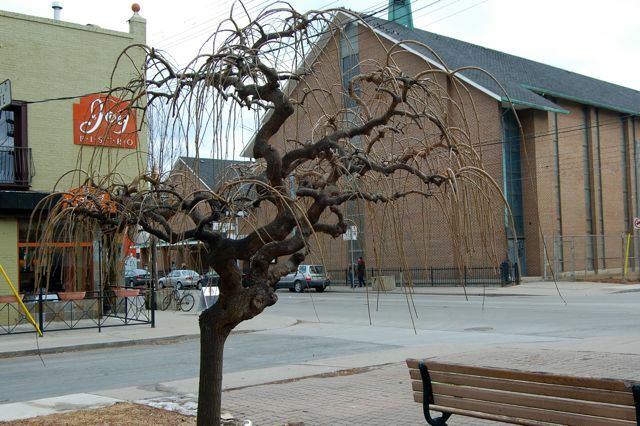 I'd love to see a pic of the second weeping mulberry when in leaf. I was talking to an arborist about my neighbours Weeping Mulberry and said "The Parks Department seem to a good job pruning them" and he said " it's the only thing they know how to prune". great post! Thanks for the reminder about getting out there and pruning before it gets too late! Wondering if it should be pruned before winter or before spring??? Anonymous — mulberry is technically a fruit tree (although the weeping form is often sterile and makes no fruit), so can be pruned as such in late fall (close to frost date) or in early spring before the leaf buds begin to open. We have a large weeping mulberry out front of our home, and I am wondering if we cut it right back, can it regrow? The tree is about 15' high, was not cut at all by the past owners, and most of the tangled branches do not even grow leaves. In order to cut it back to size, we would be removing all of the smaller branches, and leavning only the tree stump and a few 12" diameter upward growing branches. Be careful how drastically you cut back your mulberry, as the weeping portion has been grafted onto an upright-growing root stock. The demerits outweigh the benefits of a mulberry that isn't in weeping form. I'd really suggest going to an arborist for advice. The cost of an arborist's attention can really be worth it if you want to retain a mature tree — and nothing quite replaces a mature tree in the landscape. Check the International Society of Arboriculture website to find a certified arborist near you. My weeping mulberry is about 15 yrs old and is thick with healthy green leaves every summer. Is it OK to trim it when the leaves have grown right down to the ground, otherwise it just looks like a big green mound on my lawn. I have been giving it a trim a when it get to this point every summer and again in the fall. Trimming your weeping mulberry in early spring before the leaves disguise the branching system is pretty much a must if you have this tree. Shorten the branches, as you suggest, and also lighten up the internal bone structure as I've suggested above so that it looks a little like Cousin It (see: Addams Family) during the summer. We cut down a mulberry tree in front of our home this spring, I didn't know how to trim it, and it was a mess, a lot of the branches were dead. Now, however, it's growing up from the stump, it even pushed up my landscape cloth, and I had to cut a slit and let it out. Will it grow to any attractive form at all in its natural state not grafted? Any info would be greatly appreciated! The Tree can revert to its original form (not weeping) if trimming to aggressively, light trimming every year is preferred as compared to on drastic cut back. When you are posed with a tangled web of an unkept weeping mulberry, trim some early spring and let it rebound and do it again late fall to take the rest off (if possible). This method puts less shock on the plant, but does require pruning at least two times. So the plant is taking more stress over a longer period of time as compared to all at once. The suckers that sprout from the stump will be whatever species was used for the trunk below the graft. Typically, this will be some upright form of mulberry. However, it won't be a dwarf tree, like the weeping form was — it can grow quite large, and will be multi-stemmed. Unless you have a large garden and/or value the mulberry fruit, there are many other more attractive landscape trees than the common mulberry. Personally, I'd rip off the suckers, dig out the tree root and start again with something else. I purchased a Weeping Mulberry a few years back. In the past couple years the new growth has been growing straight up and not in weeping form. Is this perhaps the root stock taking over at the top? This new growth is coming from the graft at the top so I don't understand how that could happen. Any advise? Thanks. Steve. Steve, It's fairly common for the trunk species to sprout upward at the point of the graft. When this happens, prune that straight branch back right away, and as close to its point of origin as possible. Don't leave a stump. The trunk species is much bigger/more vigorous than the weeping mulberry species and can soon overpower your tree. "At some time in its past, the caretaker allowed one of the vertical branches to remain, and if this keeps up the tree can become too tall and difficult to reach for pruning. You can see the runaway vertical branch rising from the centre of this tree form. " 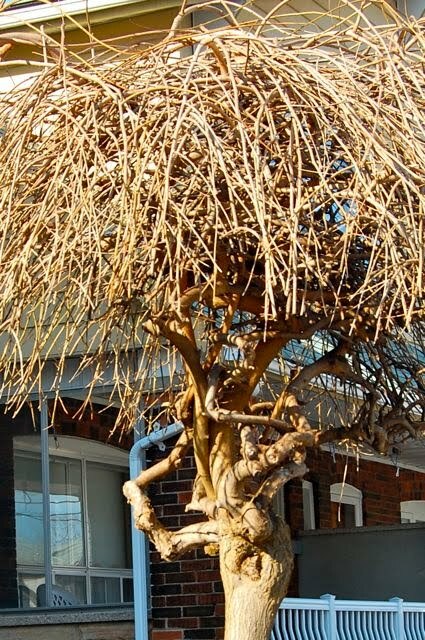 I have to disagree, the branch that rises in centre is not a sucker from the trunk, but a series of weeping branches from above the graft. This gives this tree a much needed vertical dimension but is in no way a threat of becoming too tall/large (as it is the weeping form). If it was a 'vertical branch' from the trunk (as is often seen, it's true) it would never revert to the weeping from seen on the top of this branch. Hi, there, I didn't mean to suggest it was a sucker (it clearly isn't). However, you'll have to admit that if the vertical dimension becomes too vertical, too often, it can make for a difficult-to-manage tree. I understand your point. But any tree pruning that requires a ladder and over-reaching eventually does become hard to manage, which is what I was trying to say. Because of the time of year, your tree should have leafed out by now. Try rubbing off one of the buds — if it seems dry and brittle rather than soft and alive, then I'm afraid it won't come out at all. There's nothing you can do, unfortunately. Winters 2013/4 and 2014/5 have been very hard hard on trees in Toronto, so perhaps that's the reason. Should I try to cut them off now? Also I have noticed rust spots on some of the leaves and one branch has no leaves. I have a weeping mulberry tree that is about 11yrs old…it has been growing nicely and we have kept it pruned in an umbrella fashion all this time. This late spring, (5) "babies" have sprouted up about 10ft from the base of the tree and have grown about to be about 4ft tall. Will I be able to transplant these or do they have to be grafted onto something else? Sorry, I just noticed your question! If you see babies, aka suckers, they are most likely from the straight trunk, as that is the part with the roots. They will not be weeping, and might even be the fruiting form of the mulberry, which can be rather pesky. So I'd advise you to just dig or yank them up. Yanking rather than cutting will damage the tissues and reduce the tendency to resprout from the base. Have you ever heard of wrapping a weeping mulberry tree? I live in NW Ontario, and I am concerned about the difference in the climate of My area and the Toronto region. Our temperatures often reach between -25'C and -28'C, but we do not have as much moisture as you do, from off of the great lakes…Would it be necessary for those of us further north, to wrap our trees? If so, how do you wrap them? 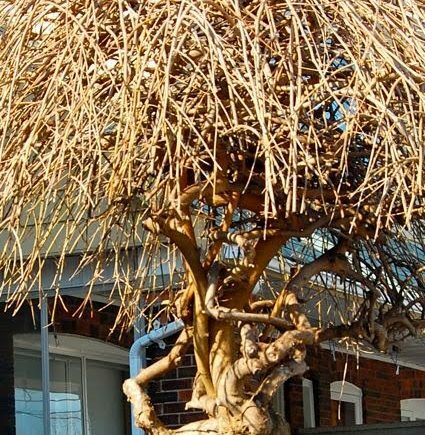 As an aside: Weeping mulberry, like many weeping plants, is a grafted tree (weeping cultivar or variety grafted onto an upright aka standard trunk), and the graft is probably the area most vulnerable to cold damage. But I've never seen weeping mulberry wrapped here. If the graft is damaged, you might see straight shoots from the standard trunk taking over. Hi Helen. We recently moved into a house that has an umbrella tree. It looks to be well taken care of. It wasn't pruned this past fall however. Can we still do it now, or should we wait until next fall? Hi, Melissa — Different kinds of tree can be pruned as "umbrellas," so it's hard to give you an answer. I've even seen weeping birch trees pruned as wide umbrellas. However, fall is rarely a good time for pruning, especially if you're in a zone with cold winters. Do you have someone who can help ID the species of your tree? I planted a weeping chapperal Mulberry (non Flowering) in Sudbury last summer. This spring it was very slow to sprout but it eventually did around late June early July after some intense watering and fertilizing. It is now leafing out very nicely with lots of new growth, however quite a few new upward branches, which I do not want, but given that the tree was only planted last summer I did not want to cut any of these off as I wanted to promote the new growth to ensure that the tree takes root and survives as winters can be very cold here. That said, was this the proper thing to do, and should I wait until early next spring to cut off those upward growing branches. Rodney, provided you do have weeping growth, I’d be tempted to prune the upright stems cleanly back to source as soon as possible (it’s early August now), without leaving stumps. You need to give the cut time to heel over a little before winter. If you leave it any later, wait till early spring. Hello Helen, We bought our house 4 yrs ago and it has this beautiful weeping tree with intertwined branches. No one knew what it was. I researched it and found that it’s a Camperdown Elm (ulmus glabra). I have been concerned about pruning it. It has not been pruned in the past 4 yrs, I was very excited to read your post. I’m not comfortable doing it myself as I don’t want to ruin the tree but think I’ll give it a try after reading your directions. (Our yard person has been trimming it with his edger!!) Thank you so much for the information. When pruning, please walk around your tree from all angles before making any final cuts – and try to be true to the tree’s natural form. A Camperdown elm can be big. For any really big job, I always recommend consulting a certified arborist.